Following the icy assault of the ‘Beast from the East’, which swept across the UK this winter, the discovery of 2 million new potholes has prompted the government to release £100m in additional funding to assist in repairs to help stave off a growing threat to road users and the resulting liabilities. A threat made all the more apparent by a recent RAC report, which highlighted that Q1 2018 was one of the worst quarters on record for pothole damage. The number of “breakdowns likely to be attributed to damage caused by potholes and poor quality road surfaces” was seen to have doubled with an increase in “damaged shock absorbers, broken suspension springs or distorted wheels”. The same problems also have a human cost: In 2017/18, £7.3m was successfully claimed by individuals against councils in England and Wales for road defects and 82% of this was a result of potholes. While this was a particularly severe winter, the degree of damage to road surfaces only compounded an existing issue caused by the ongoing under investment in road maintenance across the nation. 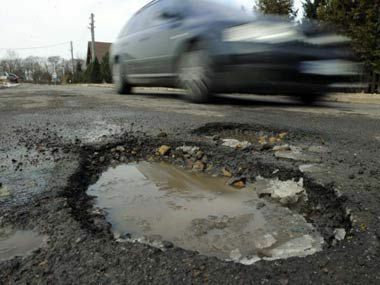 Indeed, the Asphalt Industry Alliance’s Annual Local Authority Road Maintenance Survey, warned that a decade of neglect to the UK’s road network caused through annual shortfalls in maintenance budgets had racked up a liability of around £9.3bn. While such spasmodic cycles of underinvestment, followed by bursts of emergency spending, are all too familiar when we look at government spending,the truth is that many private organisations also take a similar approach to maintaining the road surfaces in their own (literal) backyards. Across the UK, the harsh winter conditions have been equally taxing on car parks and private roads – and have equally revealed the risks of lax maintenance. For property owners and facilities managers, the risks of injury claims should be the most pressing concern as the past decade has seen an increase in litigation and trips and falls have been the source of some of the largest compensation awards. The exposure to risk is fairly unambiguous as organisations have a Duty of Care to keep staff, visitors and passers by safe while on their premises. At the other end of the scale, but also important, the crumbling state of car parks and roads can reflect badly on owners and tenants and can detract from a properties kerb-appeal and overall value. Organisations have all been affected by the ravages of a long, cold and snowy winter. Along with higher costs of heating and cleaning many parts of the country incurred extra costs for clearing unaccustomed multiple snow falls. Unfortunately, the affects of repeated freezes and thaws and heavy rains is now being felt by owners of private roads and car parks with cracked surfaces and potholes.